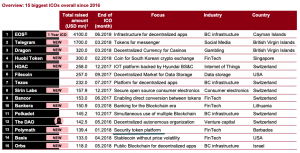 Breath in, because this is the list of the biggest ICOs since 2016. A quick overview: the EOS team has collected $41bln, Telegram – $17bln and Dragon – $320mln. Just imagine this pile of money. It would have been enough for Scrooge McDuck’s swimming pool. That’s why the security token platform Polymath with its humble number of $139.4mln gets easily overshadowed by the other whales on the list. Yet, in comparison to non-listed projects a small fortune the Barbados-based startup has raised is impressive, which invites an interesting question. Are we on the verge of a new trend? 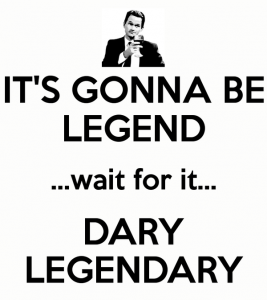 And if so, should we start preparing for the world of STOs? At the beginning, ICOs were a promise – so much fascinating that many of us couldn’t help but dive deep into it. But because a great deal of projects didn’t manage to make good on their promises for the past few years, the word “ICO” comes with the toxic flavour nowadays. The vast majority of ICOs are structures in their early, pre-sale stages. When an ICO raises money, its ecosystem is not yet functional, and the big question is, if the team members are going to accomplish it at all. Are they about to build up the community? When exactly would that happen? Will the funds raised contribute to the project development? And then, of course, is this kind of business even legal? Bonds, venture capital, private equity and stocks cannot afford so many insecurities. But they are more than ready to eat fruit of the tokenized tree. If we have to cram blockchain into legal framework to get ahead in market competition as well as unload extra red tape and additional costs for middlemen, Godspeed to us. To make the long story short, STO is the offering of tokenized tradable assets that are subject to federal securities and regulations. 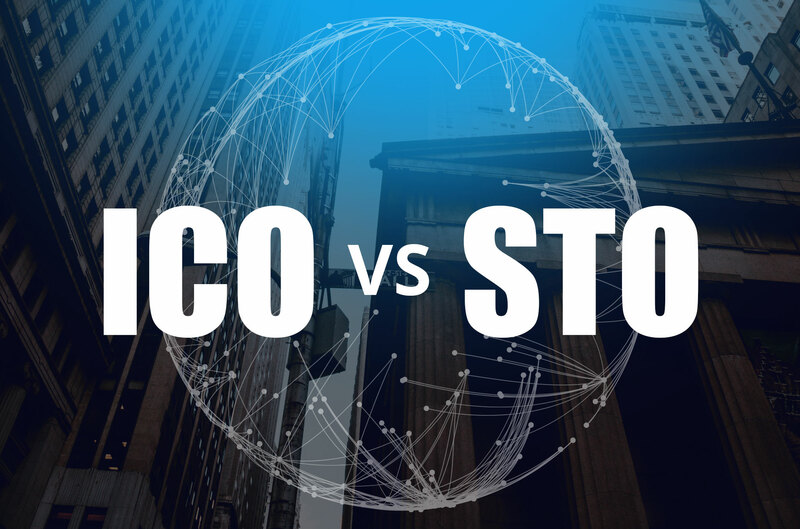 The core difference between ICOs and STOs is this ➡️ With ICOs, you, most likely, invest in a non-existing product on a non-existing blockchain that is about to wow everybody in the near future. With STOs, you put your money in an existing product that had been tokenized and legalized before. Let’s wrap up. The security token technology would give end users a chance to buy a profitable asset with less pain in the neck, in comparison to regular shares. It’s cheaper, it’s for everybody in the world – regardless of the country – it’s safe and it’s legal. Security tokens grant businesses with transparency, which enables financial whales to enter the blockchain market in a safe and legal manner. Regulation D — this STO covers accredited investors only. Are you an accredited investor? Let’s see. If your net is worth $1mln, or your annual income is $200k+ for the past two years, or $300k in combined annual income for spouses, you have a chance to take a part. But, first, verify your accreditation status and get a specific letter from a legal counsel. Regulation A+ — this STO covers everyone in the crowd. There are STOs to pursue Reg A+ out there but here’s the pain point. No STO has been qualified by the SEC for this type of funding, to date. Maybe for the reason that Regulation A+ issuance can cost more and take longer compared to other options. Yet, the annual raise cap limit for these STOs is up to a total of $50,000,000. Regulation S — this is when an offering of securities is deemed to be executed in a country other than the US. Depending on the Regulation type an STO is compliant with, the financial requirements for investors and token issuers might very dramatically. In some cases, as an investor, you’ve got to have a lot of money and certain paperwork verifying your credentials. But, regardless of an STO type, every participant is required to complete the KYC procedure. 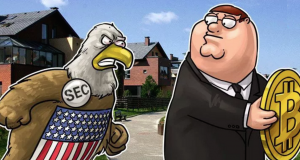 As we already mentioned, being everybody’s poster boy, the US government is demonstrating that inevitable regulations on crypto are coming. If you’re a crypto trader, this new trend might bring several interesting developments for you, personally. Start considering investments in the bonds, venture capital, private equity and stocks on blockchain. But, at the same time, be prepared to complete KYC/AML forms, to play big.